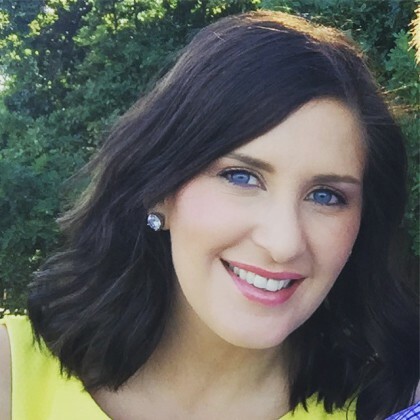 Dr Emily Hepner graduated from RMIT University in 2005 with Bachelor of Applied Science (Clinical Science) and Bachelor of Chiropractic Science with Distinction. She was also awarded the "Academic Excellence Award" upon graduation. Dr Emily Hepner is a member of the Chiropractors' Association of Australia. Dr Emily Hepner has been owner of Edward Street Chiropractic Clinic since 2008 and is a local to the area, growing up in Shepparton. She has a keen interest in helping people achieve their full potential, whether it be work, sport or leisure, and treats people from birth to the elderly. Dr Emily Hepner will adapt the treatment technique she uses to best suit the patient's condition and age, utilising a range of techniques from manual chiropractic adjustments (diversified), Activator, Pelvic blocks, Drop-piece technique, Soft Tissue Therapy, and Cranials. Dr Emily Hepner is also a SD Protocol certified practitioner. Dr Emily Hepner and her husband have two young boys, Oliver and Quinn. Dr Daniel Zhong Yeoh graduated from RMIT University in 2015 with a Masters of Clinical Chiropractic. He did a twinning program for Chiropractic studies, studying at the International Medical University (IMU) for the first 2 years, then finishing his final 3 years at RMIT University, Melbourne. Dr Daniel Zhong Yeoh had the privilege to learn different styles of Chiropractic techniques and philosophies from Chiropractors around the world. He is a member of the Chiropractors' Association of Australia, and is a cheerful and friendly person who has a passion for helping people with Chiropractic. To Dr Daniel Zhong Yeoh, Chiropractic is not just a treatment method to help people get better. After a mission trip to Cambodia, he found that Chiropractic is more than just adjusting people or helping them get their health back; it is about putting a smile back on people's faces after experiencing pain. Dr Daniel Zhong Yeoh practices a wide array of treatment methods to best suit the patient's age and condition, as he believes no one treatment applies to everybody. He uses manual manipulation, blocks, Activator, drop-piece techniques, soft tissue therapy, taping and rehabilitation exercises. He has an interest in teaching people how to care for themselves at home and in their daily life. David Black has been with Edward Street Chiropractic Clinic for over 25 years. His role as a remedial masseur complements the work of our chiropractic team, often working in tandem with them to help achieve the best results possible for our patients. David has a diploma in remedial massage and uses many techniques including remedial massage, trigger point therapy, PNF stretching and joint mobilisation. He can successfully treat conditions such as low back pain, neck and shoulder tension, headache, all types of sports injuries, and assist with post surgical rehabilitation. David's experience and understanding are a valuable asset to this clinic and add another treatment option available to our patients.